Located in the Yadkin Valley, Elkin Creek Vineyard is a wonderful place to do a wine tasting, have a wedding, or simply enjoy a nice dinner! 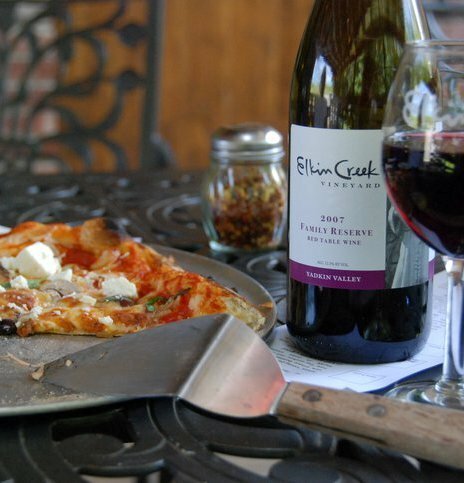 Southern Living called Elkin Creek “the best in the valley”, referring to the excellent wine and food! The land was previously a century-old mill (which can still be seen from the winery), and today it is home to 6 acres of lush vineyards and a beautiful winery. The vineyards were planted in 2001 and are used for the 8 different types of wine available at Elkin Creek. The Kitchen at Elkin Creek is currently only open on Sundays to the public. The talented chefs create pizzas made to order that are cooked in their wood-fire brick oven. YUM! What goes better with a glass of red wine than pizza?? It is strongly encouraged that you make reservations if you are planning to make a visit, the space fills up fast! 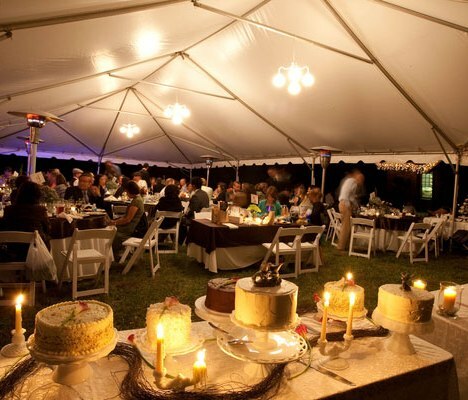 The Kitchen is also used for weddings, receptions, special parties, meetings, and other events. Elkin Creek is a wonderful location to have a wedding! The spectacular Oak trees, May apples, Rhododendron, and Mountain Laurel create a scenic backdrop for the special event. There are two locations where the ceremonies can take place, one setting is by two creeks coming together as one, and the other is by a more intimate setting by a gentle waterfall. Receptions can be held in the vineyard harvest barn. There are proposal, wedding, elopement, and renewal of vows packages available. At Elkin Creek there are creek-side cabins available for visitors to stay in on a nightly, or weekly basis. The cabins have a rustic feel, but provide modern day conveniences. All cabins feature a queen size bed, a full kitchen, a stone fireplace, LCD TVs, and back porch swings…and that”s just mentioning a few! 1. Go see the Vineyard. Whether you want to do a tasting, or just see the 6 acre spread, Elkin Creek is a site to see! 2. Schedule a Tasting! Grab a group of friends and try something new! Chances are you have never tried their wine, and it will be unlike any you have had before. 3. Visit The Kitchen. Try a pizza cooked in their home-made wood-fire brick oven! If you love pizza, you will love this! 5. Stay the Night. The Cabins are located next to a creek and are a great little escape for your normal routine. The setting could not be more peaceful! 6. Take some Pictures. With the lush, green vineyards as your backdrop, you are sure to get some wonderful pictures!